So you’re getting married or moving into a new place and need the necessities for your apartment. Where do you start? Well, here’s a list of 10 kitchen items to get you on the right foot. When it comes to college students and young families, pasta tends to be a fairly popular and cheap dinner idea. 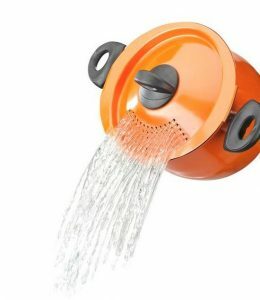 If this applies to you, you need this pasta strainer! Why would you worry about investing in both a pot and a strainer when you can kill two birds with one stone? This pot doubles as both a regular pot and a strainer making it easier and less messy when it comes to those classic spaghetti. A crock-pot is a must have for anyone on the go. Crock-pots make it so easy to have delicious meals with hardly any effort at all. 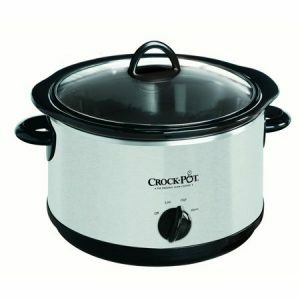 You can place your food items in the crock-pot to cook before you leave for work or class and by the time you get home your food is ready to eat! Let’s face it, tap water doesn’t always taste the best and buying water bottles all the time can get expensive. The Brita Water Filter is the perfect kitchen item to fix those problems. 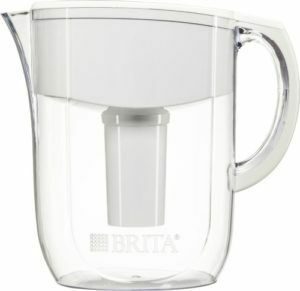 The Brita is simple to use, all you do is put water in the top and it filters it for you! Making it so easy to have good tasting filtered water. 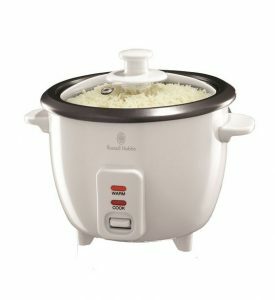 If you want perfectly fluffy rice every time, a rice cooker is the way to go. It takes hardly any effort, all you do is put in the rice and water and let it cook! Not only will it cook the rice for you, it will also keep it warm until you are ready to eat! Perfect for smoothies, shakes or anything else you need to blend. 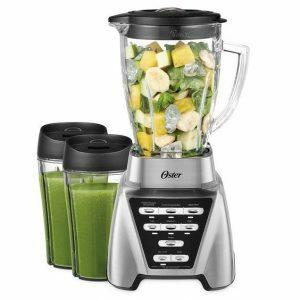 The Oster blender is affordable and doesn’t take up too much of your counter space. It is straightforward and easy to use with the buttons on the front of the blender. 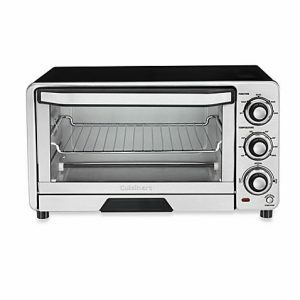 This toaster oven is not only great for making toast. You can use this for a variety of different things such as; making sandwiches, toasting bagels, cooking freezer meals, making pizza etc. It is a must have in your kitchen. 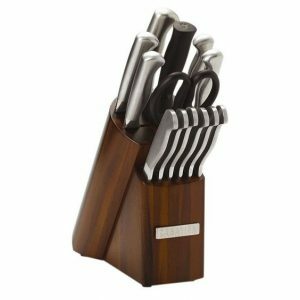 Every kitchen needs a good knife set! Having a knife set makes it easy to chop, slice and dice all of those delicious home cooked meals without hassle! A can opener is a must have. How else are you supposed to open up all those cans of corn or fruit? This can opener is very small and easy to use. You simply attach it to the can and twist away! Last but not least, a silverware organizer. 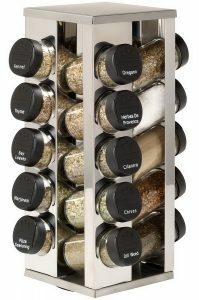 They are affordable and keep your silverware organized and easy to find. 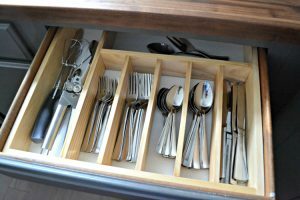 There is a section for each type of utensil so they are easy to grab!